The current national guidelines for CPE in England recommend three serial admission screens each separated by 48 hours to confirm a negative carrier status combined with pre-emptive isolation. Even leaving aside the infeasibility of pre-emptive isolation, this approach introduces a host of operational challenges. In a study just published in JHI, we find report that serial admission screens do not improving the detection of CPE. However, there was a striking apparent increase in the rate of carriage of other resistant Gram-negative bacteria in the early days of hospital admission, suggesting either an unmasking of pre-existing carriage or acquisition of resistant Gram-negative gut flora. Most of those casting their vote supported Martin’s (somewhat pessimistic) view that we can’t halve Gram-negative BSI by 2021 (see the figure, below). Let me first give you my own, unspoiled opinion (written before the results of this survey were known). I was intending to vote for option 3 (the English can’t, the Dutch might) but I am not even sure of that; actually, I believe that neither the English nor the Dutch can. 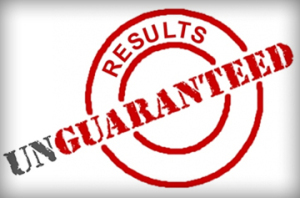 Acinetobacter contamination: is anywhere safe? A study from New York City describes an environmental survey of contamination with antibiotic-resistant Gram-negative bacteria on surfaces in the community. The authors hypothesise that resistant Gram-negatives could be carried by staff, patients and visitors beyond the confines of the hospital. Almost 500 environemntal samples were collected from surfaces in the public areas of six hospitals and surrounding communities (<1 mile from the hospital) (443 samples), with a further surfaces from communities >1.5 miles from any hospital as a control (50 samples). A total of 70 GNR were identified (Figure), mostly fairly inoccousous species from a human disease viewpoint. However, some potential human pathogens were identified (Table). Figure: breakdown of Gram-negative rods identified from surfaces in public areas of the hospital and surrounding community. Table: potential human pathogens identified from surfaces in public areas of the hospital and surrounding community. All of the A. baumannii isolates were resistant to ceftazidime, and one was resistant to imipenem (i.e. carbapenem-resistant). Eleven of the 15 were clonally related to one another and to a patient isolate from one of the hospitals. 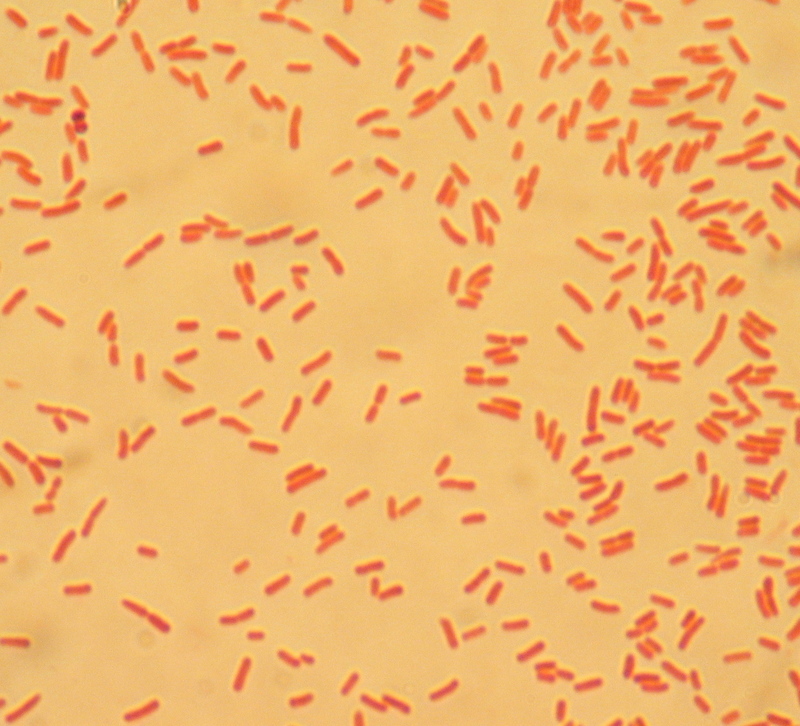 One of the S. maltophilia isolates carried an integron-encoded VIM carbapenemase, which is potentially transmissible to other Gram-negative species (including Enterobacteriaceae). Each sample was cultured in an enrichment broth, and the broth was probed for the presence of a range of beta-lactamase genes (including ESBLs and carbapenemases). No beta-lactamases were detected (other than the S. maltophilia isolate). I suspect the picture would have been rather difference in New Dehli! 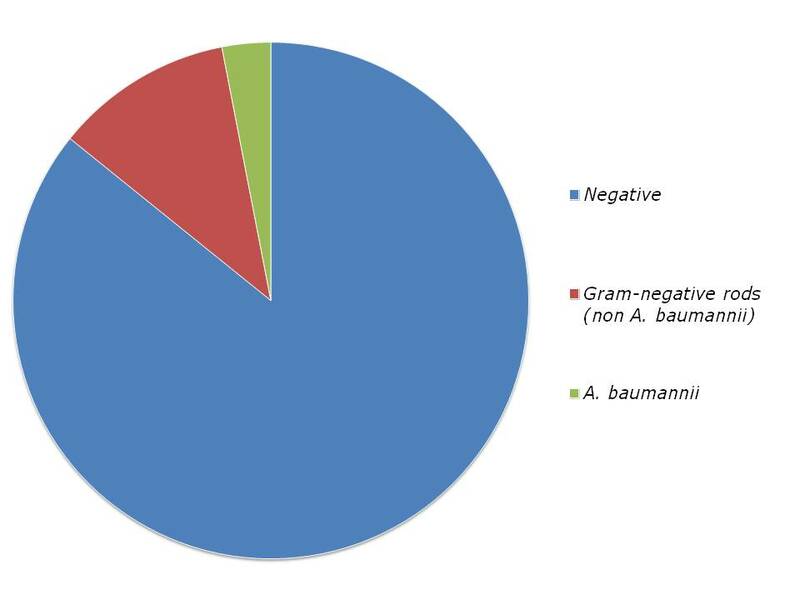 Although the survey included both surfaces in public areas of hospitals and in the community, it seems that most of the A. baumannii were identified on surfaces in the community. So, is it a surprise to see environmental contamination with antibiotic-resistant Gram-negatvies on touch-surfaces in the community? Not really, A. baumannii in particular can survive on surfaces for ages, and ‘mimics’ Gram-positive bacteria in terms of its environmental longevity (i.e. months / years). That said, I performed a similar study looking for MRSA on touch surfaces in the community in London, and didn’t find any. More importantly, do we need to do anything about this? As the authors state, A. baumannii can be virtually impossible to eliminate from hospital surfaces without resorting to hydrogen peroxide vapour. So is it time to roll hydrogen peroxide vapour into your local Pizza Hut? Clearly not. You’d hope that cleaning and disinfection protocols, which should deal with this sort of contamination, are already established in these public places, but it would be prudent to reinforce these basic hygienic practices. Also, I agree with the authors that these findings represent and opportunity for the promotion of hand hygiene in the community. 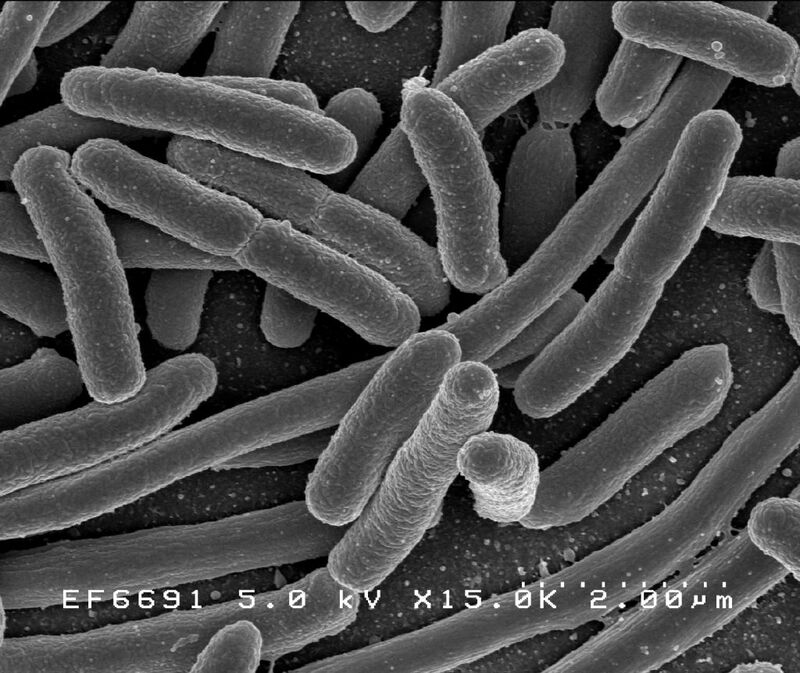 The authors use strong words to describe NYC as ‘plagued’ with resistant Gram-negative bacteria, and a ‘dismal failure to control A. baumannii.’ If this epidemic continues, we can expect to see the focus of the problem – and the target for our interventions – shift from the acute hospital setting to encompass the community.